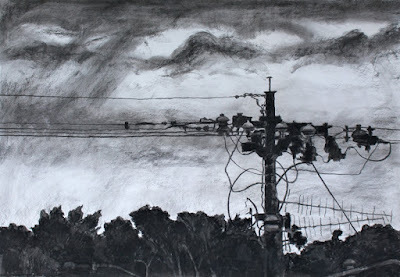 City Sky, Charcoal on Paper, 70 x 100cm, 2015. Durban Cityscape. Pencil sketch on paper. Sketches from my garden. Pen on paper. Portrait of Divium, Charcoal on paper, 2015.